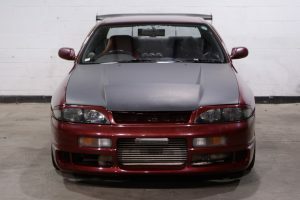 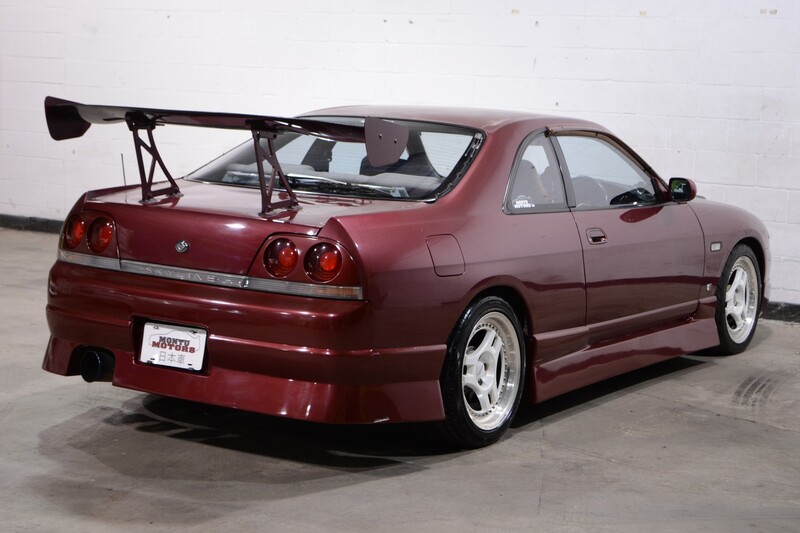 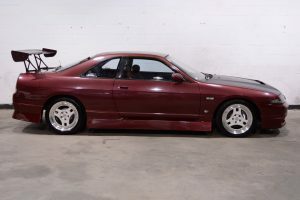 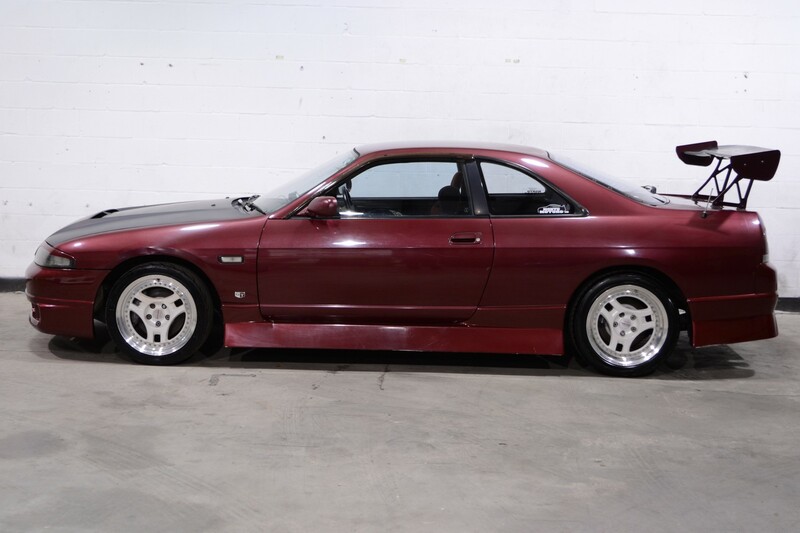 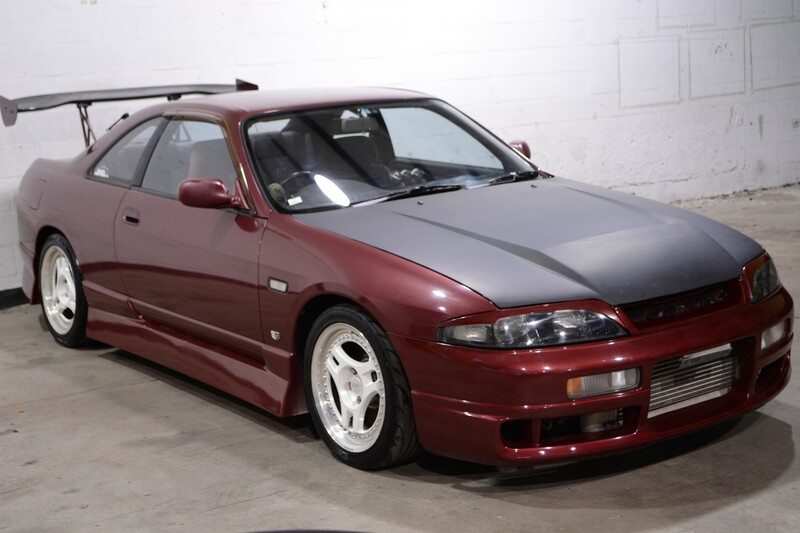 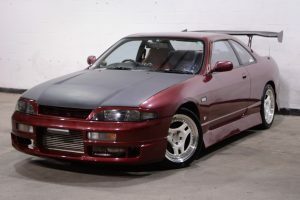 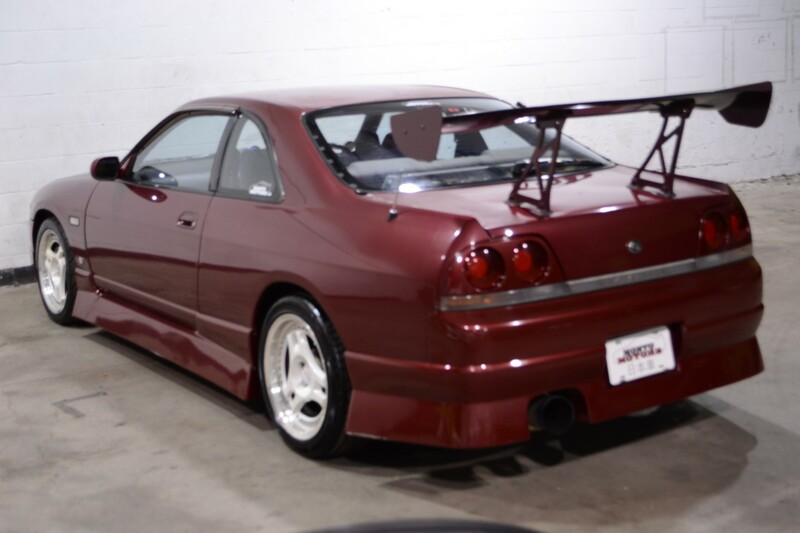 This R33 GTS25t offers an aggressive, unique look to go with it’s aggressive powertrain. While some may find it a unique taste, this particular car offers a true 90’s modified look. 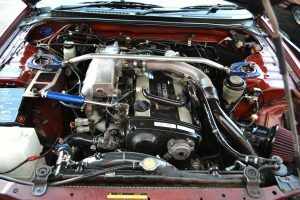 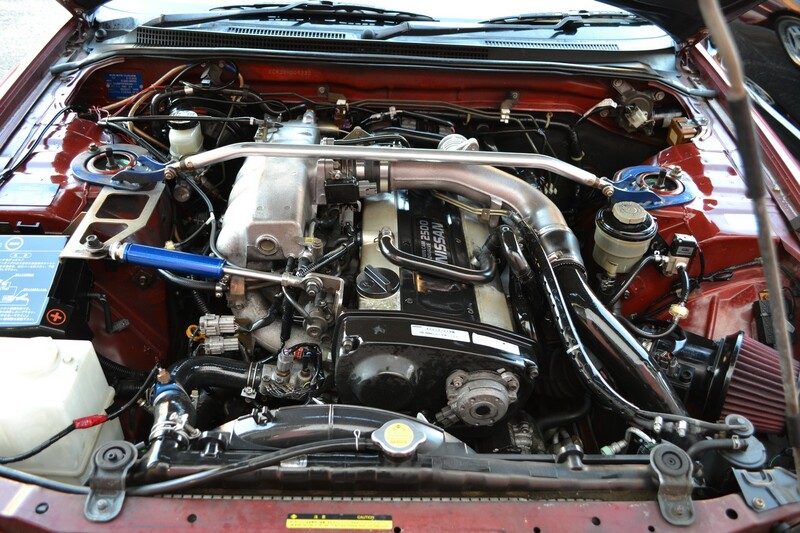 The RB25DET is smooth and powerful, and makes the right tuner turbo sounds! 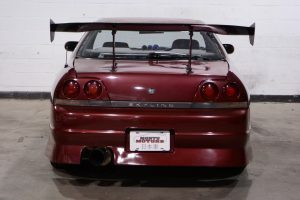 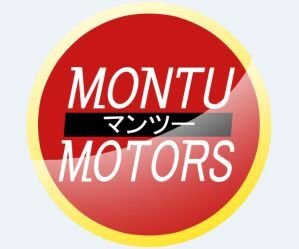 Exhaust has a sharp note but is by no means excessive, so the car can be driven daily if desired. 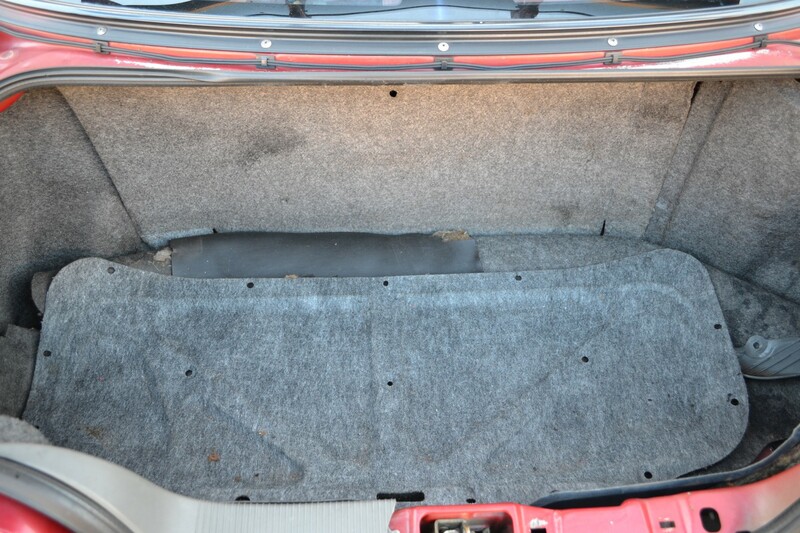 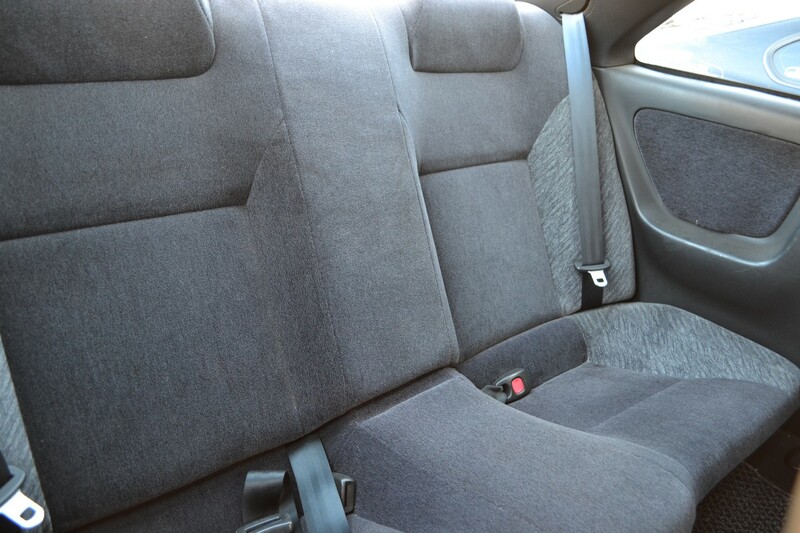 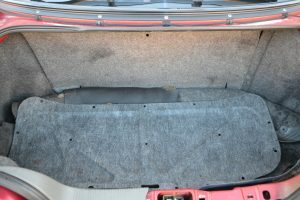 The driver’s seat is made for skinny hips, but there is no chance of sliding once you’re in. 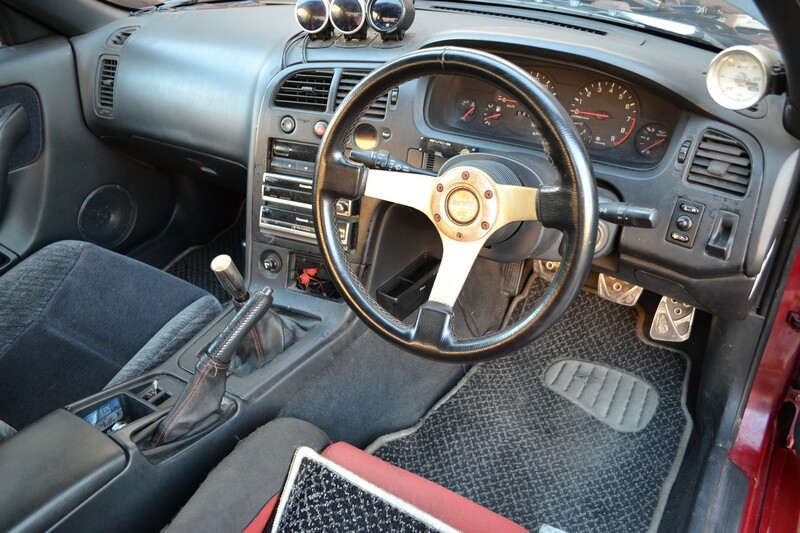 If you are choosing to track this car, it offers a great setup for this purpose.